This was a second choice for May's Theme Day photo. 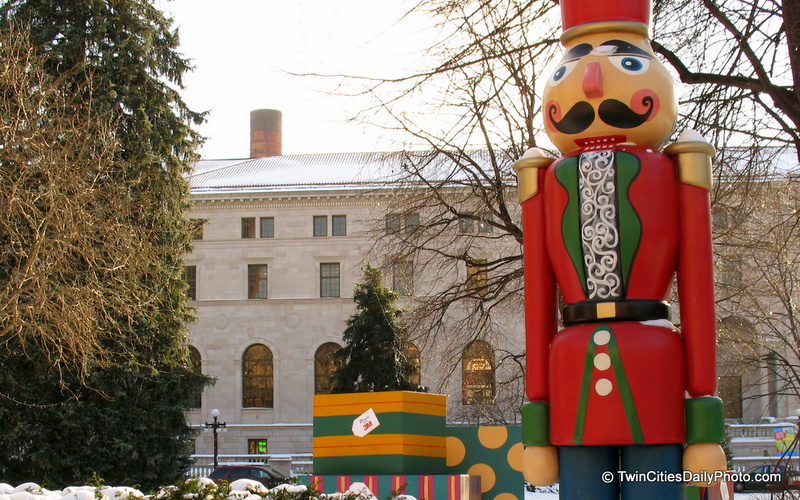 This was taken during the Christmas Season in Rice Park. This toy soldier stands guard on one of the walking paths of the park. This looks different without snow on the ground. Good close-up! I was going to use this picture for my 'statue' theme day photo, but opted for the other one.